Stop by our Sales Office today to schedule your FREE fitness assessment with one of our incredible trainers! Michael is a highly experienced trainer, who has 15 years of experience in the fitness industry since 2001. After he got certified he dedicated his life to helping others achieve their goals and overcome obstacles. He incorporates different styles of training through his workout program. He applies a unique style of training very focused in biomechanics. He has studied and developed this method of training for years. His specialties are kickboxing, weight loss, bodybuilding, and overall wellness. "Fitness is a journey, so lets take it together"
I am a nationally certified personal trainer, nutrition consultant, and group fitness instructor, with a Bachelor of Science Degree in Health and Fitness. For nearly eight years, training others to become fit and maintain a healthy lifestyle has been my focus. One of the most encouraging things I experience as a personal trainer is watching people get results from working their process of becoming physically fit. I am most passionate about helping others achieve success. Through my years of experience, I have developed a unique approach which I adapt to a large spectrum of clients, ranging from beginner to advanced, and from old to young. My clients' ages have ranged from twelve to ninety-one years old! I have trained people preparing for major mountain climbs, group runs, and other fitness events. I have also taught other clients the basics of how to use the gym and how to exercise from day one. Each fitness program is customized to personal needs, whether it be to lose weight, gain weight, build muscle, or tone and sculpt so each client achieves success, stays motivated, and ultimately reaches their goal. Once committed to the journey, you can expect to experience major benefits from your exercise program such as: weight loss, muscle definition, inches lost, increased metabolism, more energy, improved mood, less medication, better sleep patterns, reduced joint pain, and improved flexibility. I am committed to seeing you through.... Let's take this journey together and make it happen! My life of fitness started at the age of three when I took my first dance class. While continuing my studies of dance, I decided to branch out into the fitness industry and became an AFAA certified Personal Traininer and Group Fitness Instructor in 1996. 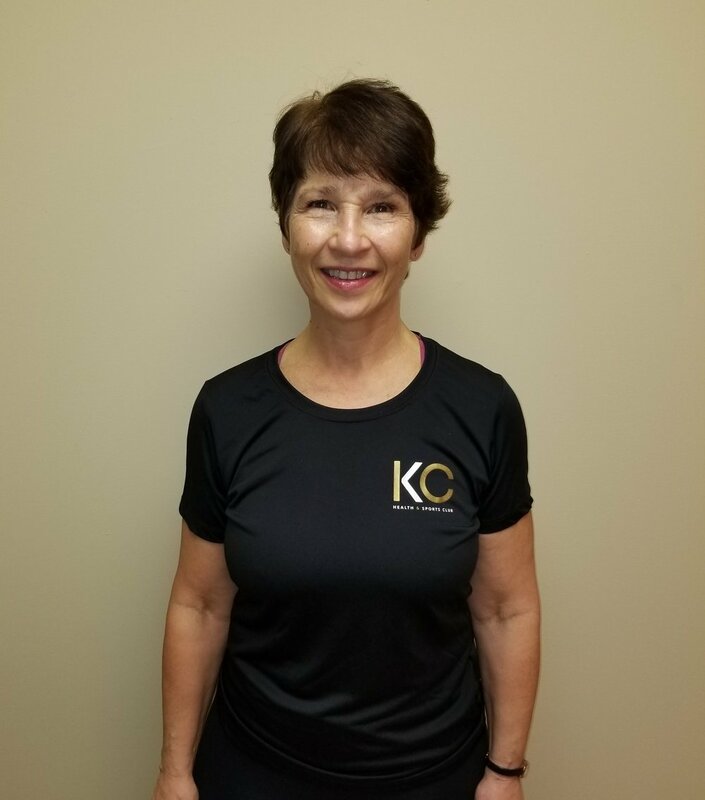 Some of my other certifications include Step, Zumba, Zumba Kids and most recently, a Kettlebell certification through Kettlebell Concepts in 2014. I worked at several gyms in NY and NJ, training and teaching classes and always bringing fresh and new ideas to an eclectic group of individuals. Over the years, I have taught or trained people ranging in age from 8 to 80. I enjoy the challenge of working with individuals with pre-existing conditions. Proper form and technique is crucial. If an exercise is not executed properly, it is not worth doing. Allow for the process in reaching your fitness goals. My philosophy is, "You have to learn how crawl before you walk and then run." Having over 20 years of experience, my fitness journey has spanned a lifetime. I truly enjoy helping individuals reach their fitness goals and I cherish the relationships I make along the way. I could not imagine my life without fitness. I am excited to embark on this new journey of becoming part of the King's Court family! My journey to fitness all started in high school. While training with the football basketball and soccer coaches. Seeing my body change this lifestyle became addictive. So as I became a personal trainer I started to help people achieve there goals in the safest, fastest, and most enjoyable way possible. My specialty is: Strength, Stamina, Endurance, Flexibility. Power, Speed, Coordination, Agility, Balance, And Accuracy while incorporating it with everyday movements found in every day life. Fabian is a former DJ turned personal trainer. His appreciation of music led to him becoming a DJ. He spent a number of years DJing in the NYC area under the name DJ Ice. When his promising DJ career was cut short due to a pierced ear drum he turned to his other passion, FITNESS. With his love of health and fitness, he is currently training Brazilian singer Thiago (@Thiagolivemusic) and others. Through his personal training, he wants to help others achieve a healthy and nutritional lifestyle. He lives by the motto "Feels Good to Look Good," stressing the importance of feeling good before worrying about your outer appearance. Fabian a.k.a. "ICE" is more than a personal trainer, but a mentor and friend to those who are trying to create or maintain a healthy lifestyle. He is a Certified Personal Trainer, Corrective Exercise Specialist and MMA Conditioning Specialist.